John on Book review: Antibiotic Resistance – the end of modern medicine? Sarah-Jane O'Connor on Book review: Antibiotic Resistance – the end of modern medicine? When I was a child, I was rather prone to misbehaving. On occasions when I was particularly naughty, my father would sit me down with a copy of the Encyclopaedia Britannica, and would order me to rewrite four of my favourite entries. It wasn’t actually that bad a punishment; being rather childish and petulant, I’d find the naughtiest entries I could (usually revolving around contraceptive devices). Earlier this summer I stumbled upon a fantastic, encyclopaedia-esque new book called The Tale of Mrs Possum by Rachel Ovens (nee Moore). If only I had access to this intriguing volume as a ten year old. In 1981, The Oxford History of New Zealand was published. Bill Oliver, one of the two editors, stated: “One of the problems in history is the idea that there is one truth and one truth only.” The Tale of Mrs Possum: A Reflection on New Zealand Society, an eclectic accumulation of facts, stories, diagrams and personal narrative is certainly a work that encourages readers and non-readers alike down their own path of discovery. Composed of “approximately one third reputable books, one third internet and one third current New Zealand and global media,” The Tale of Mrs Possum (hereafter referred to as Mrs Possum) is a brilliant and engaging volume. Common brushtail possum. Wikimedia Commons. Ovens covers an eclectic range of topics, from New Zealand’s colonialist history to the gastrointestinal system. Written in a light-hearted, conversational style, Mrs Possum is arranged in ten chapters, each tackling a different topic. 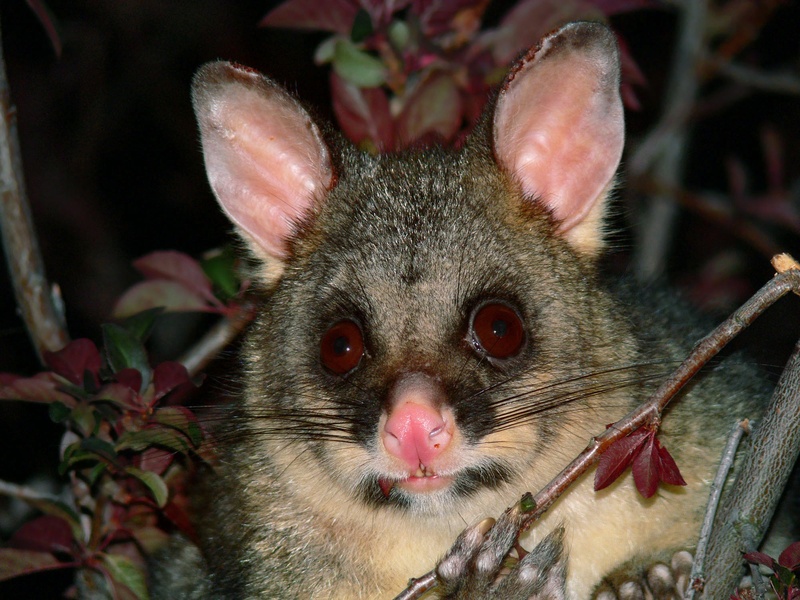 The title derives from “the underdog” of New Zealand – the possum. A “reviled colonial pest, symbol of the public intellectual, and a reflection of countless struggles with environmental issues by Team Planet Earth,” Ovens notes how paradoxically, the possum is a protected species in Australia. Although one should never judge a book by its cover, Mrs Possum has a lush and colourful jacket cover, featuring a little picture of a possum reading by lamplight, its feet resting on the map of New Zealand. Chapter One begins with a story of Ovens’ ancestor John Evelyn, a prolific diarist. “His diary of the 1600s wrote of the execution of Charles, the plague, the Great Fire of London, Christopher Wren, and others. Much in the manner of Samuel Pepys, and they wrote about each other.” Ovens, it seems, resembles her forbearer in her consummate writing ability. I enjoyed her overview of different genealogical sites, the difference between primary and secondary sources, and various citation styles. Ovens also provides an entertaining overview of Charles Darwin’s life, and describes Watson and Crick’s discovery of the DNA structure in a straightforward manner. As an art history student and artist, I really appreciate how Ovens incorporates images of paintings and references to local exhibitions throughout her book, such as the Dunedin Public Art Gallery’s pictogram of Billy Apple’s Genome. 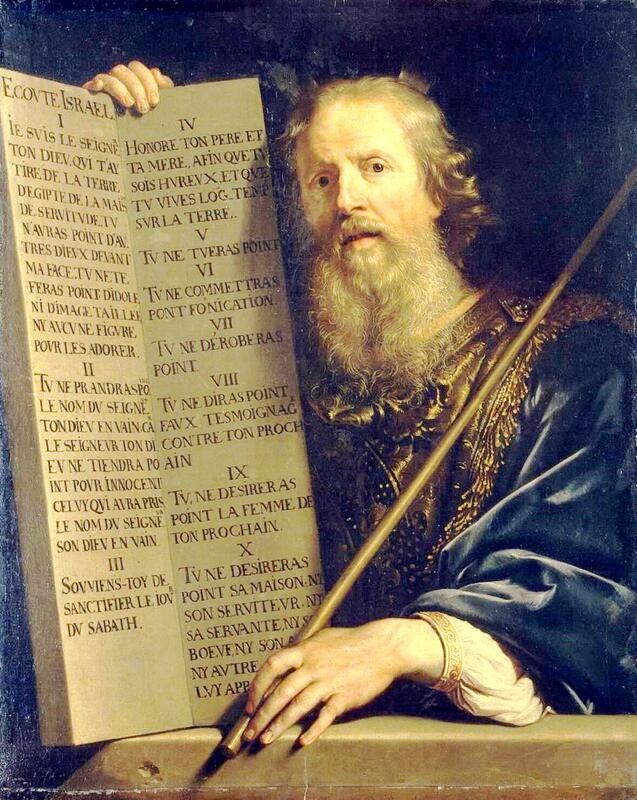 Philippe de Champaigne – Moses with the Ten Commandments. Wikimedia Commons. I was also tickled by Ovens’ discussion of “the concept of God as imageless, which “is interesting from a cognitive development point of view. It appears to be quite a documented cultural and cognitive shift from concrete/literal thought to symbolic/abstract thought.” This is something I’ve always thought about, since I was a young child. What did God look like? We were once asked this in Sunday school, and I answered “a fuzzy white ball of light.” Ovens’ diagram of the human brain could be more specific, but overall this chapter comprised an interesting discussion of biology and ethics, from Neitzsche to the specifics of the protein pump. Chapter Four begins by covering the main clinical issues for human health. “How do we tame the tiger that is our New Zealand health system, so that a fair and equitable use of health resources reaches all?” she asks. “Do we ever learn from our organisational mistakes? Is it the trans-generational leap required for human knowledge too much for us to handle as a species?” These are apt questions, especially considering New Zealand’s current mental health care crisis. The chapter comprises a pretty damning take on New Zealand’s medical system, radiation, biostatistics and epidemiology. Ovens notes that “the period from 1984 – 2001 was an era of great change and turmoil for our New Zealand health system. It is worth noting that there was a succession of nine health ministers during these 17 years till 2001. Each health minister had an average tenure of about 22 months: not a great recipe for success or continuity.” Nevertheless, she remains optimistic about the future of New Zealand healthcare. Polypharmacy is a real issue. 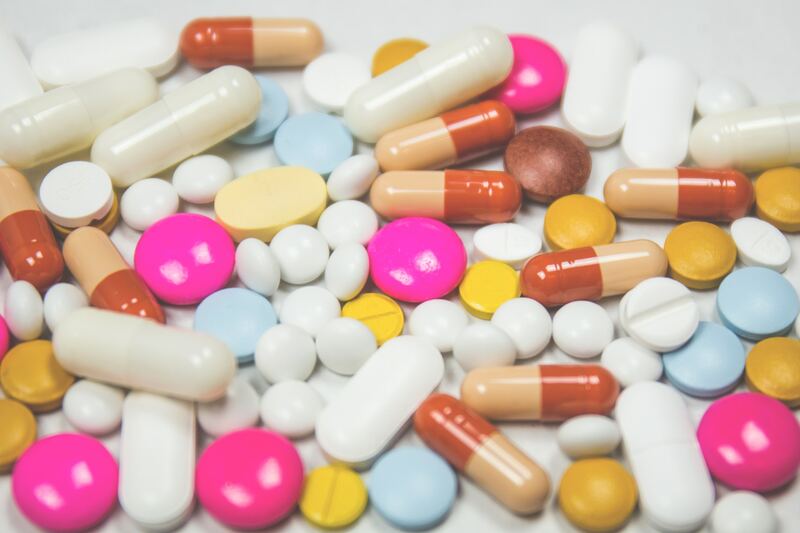 The chapter also covers the issue of polypharmacy; the prescribing of more than six different generic drugs per person. As an aged care nurse, Ovens brings personal experience to her discussion of this phenomenon, noting that “often, more than six different drugs are given to patients daily to counter the multiple medical problems accumulated in the aged person.” I appreciated how Ovens focuses on mental health, sharing stories of real people. These personal anecdotes are heartbreaking and effective, having more of an impact on the reader than mere statistics. As with other chapters, Ovens interweaves diagrams and pictures throughout her discussion, often including her own delightfully eccentric artwork. I would have liked to have read more about Maori and Pasifika health in New Zealand, as well as the concept of Hauora and other non-Western models of health. Dunedin Railway Station, Dunedin. Wikimedia Commons. Chapter Five deals with New Zealand’s history of architecture, beginning with a description of Dunedin’s Railway Station, arguably the most beautiful building in our fine city. In one of her characteristic tangents, Ovens discusses Immanuel Kant, beauty and the sublime. What I like best about Ovens’ writing is that she jumps between philosophical discussions of beauty and aesthetics, to neuroscience. “In 2013, scientists Tomihiro Ishizu and Semir Zeki discovered, using fMRI, that particular parts of the brain (the medial orbitofrontal cortex AI area) light up when exposed to images the viewer perceives as beautiful.” It was also interesting reading about the difference between Maori and European styles of building, and the symbolism of the whare. In her discussion of kiwi women architects, Ovens continues her theme of the empowered woman. Chapter Six begins by posing a question I can honestly say I’ve never considered before: “Is “Fashion” the enemy of vitamin D? Did the nudists have it right? And are marriages in the Southern Hemisphere more resilient because people have perfected the art of making love with their clothes on? Well, well, quite a lot to cover here – or not!” Ovens details her personal journey with fashion, including extracts from her Dunedin North Intermediate sewing handbook. I enjoyed the discussion of Te Whariki, and the various Maori values, as well as the overview of all current providers of childcare, and schools of thought or theory on childhood. Ovens also tackles whether television is healthy for children, citing the Longitudinal Dunedin Study. I appreciated her thought-provoking discussions of smacking and poverty in Aotearoa. Ending with the maxim “it takes a village to rear children”, I found this chapter very illuminating. Chapter Nine begins with the story of Jeanne Jugan, the woman who set up Little Sisters of the Poor. A “a gutsy, courageous character”, Jugan “may have saved many a person from prostitution and other evils by personally requesting monies at the door of benefactors to her cause for the poor.” Ovens, on one of her lengthy tangents, covers the history of the French monarchy and medical knowledge in ancient times, setting the scene for the tale of the Little Sisters of the Poor. The final chapter of Mrs Possum constitutes a fascinating conversation between a miner and an environmental activist. A great deal is laid out in this conversation, although it does seem a little forced at times, but overall it is a unique way of covering some pretty technical information. The most interesting part of this chapter covers the history of deforestation, incorporating pamphlets distributed by the Royal Society in the 17th century. Sylva, a famous treatise on trees written by John Evelyn 350 years ago in 1662, is widely recognised as the first comprehensive study of UK trees, and it was dedicated to King Charles II, who owed his life to an oak tree in which he hid to escape capture in 1651. 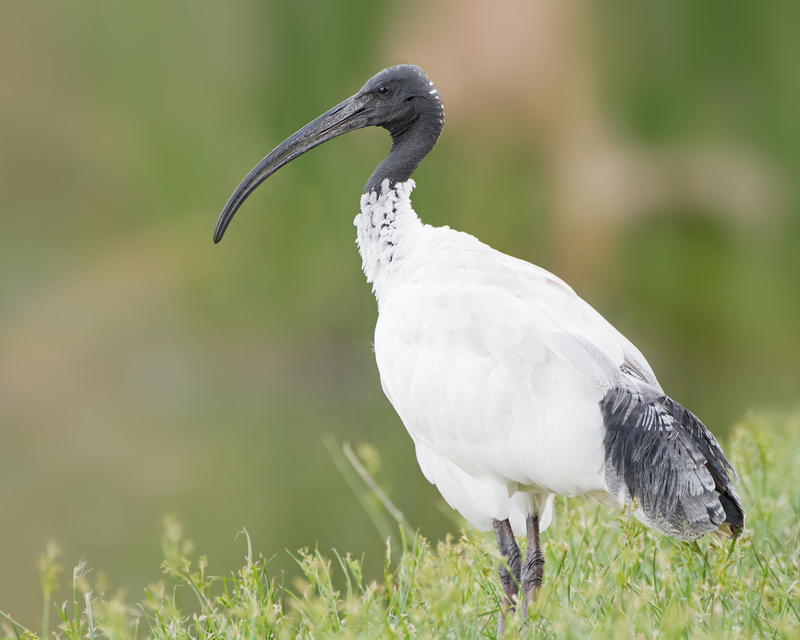 Australian White Ibis (Threskiornis molucca), Perth, Western Australia, Australia. Wikimedia Commons. My only reservations with Mrs Possum regards its excessive length. At 780 pages, it’s a very cumbersome volume. Perhaps in further editions, Ovens might benefit from splitting it up into a few books. Mrs Possum also relies a great deal on Wikipedia for information, which is not always thoroughly reliable. I also think the bibliography would be better placed at the end of the book, rather than at the end of each chapter. Although each separate bibliography is handy for further reading, the pages of citations do disrupt the flow of the book somewhat. Altogether, these issues are only minor quibbles; on the whole, Mrs Possum is an excellent and engaging read. Before leaving Dunedin, I pulled my sister Lucy aside and gave her the book. At fifteen years old, Lucy is pretty sheltered, and as a consequence of ten years of homeschooling under a horrifically ignorant “educational programme”, she hasn’t learn much about science, New Zealand’s history, or the world in general. The Tale of Mrs Possum: A Reflection on NZ Society will open her to a world of possibilities. It will enrich her imagination and knowledge of our country’s history. It will empower her as a young woman, urge her to care for the planet, and follow her dreams. You can buy The Tale of Mrs Possum: A Reflection on NZ Society at the University Book Shop, Dunedin for $59.99. Rachel Ovens (nee Moore) is a Renaissance woman of sorts. With over 30 years’ work experience in the New Zealand Health Industry, Ovens has a Bachelor of Arts and Post Graduate Diploma in History Otago University, as well as a comprehensive Nursing Diploma from Otago Polytechnic. She is also an innovator, entrepreneur, artist, curator, clinical teacher and science writer. Thank you Jean Belchin for your coverage of this wonderful book. I treasure my copy and it will be passed on to my grandchildren. The amount of research is truly amazing and covers New Zealand society in a way never done before, truly unique. More to come hopefully. SciBooks is where you will find reviews of newly-released science books by our Scibloggers and guest contributors. José Ramos Vivas on Book review: Antibiotic Resistance – the end of modern medicine? Kim P. on Book review: Antibiotic Resistance – the end of modern medicine? steve on Book review: Antibiotic Resistance – the end of modern medicine? Suzie Tingley on Book review: Antibiotic Resistance – the end of modern medicine? Ashton Dempsey on Book review: Antibiotic Resistance – the end of modern medicine?